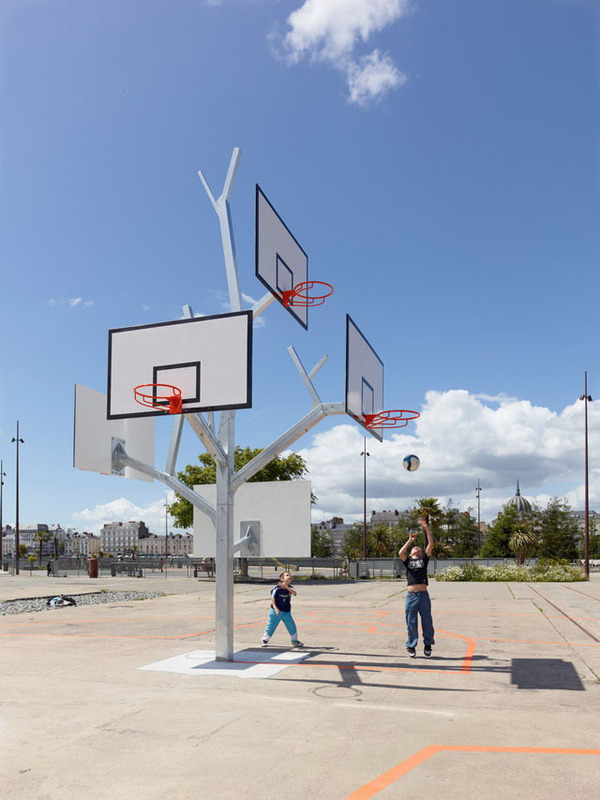 Basket Tree is a sculptural piece of playground equipment with five basketball hoops. 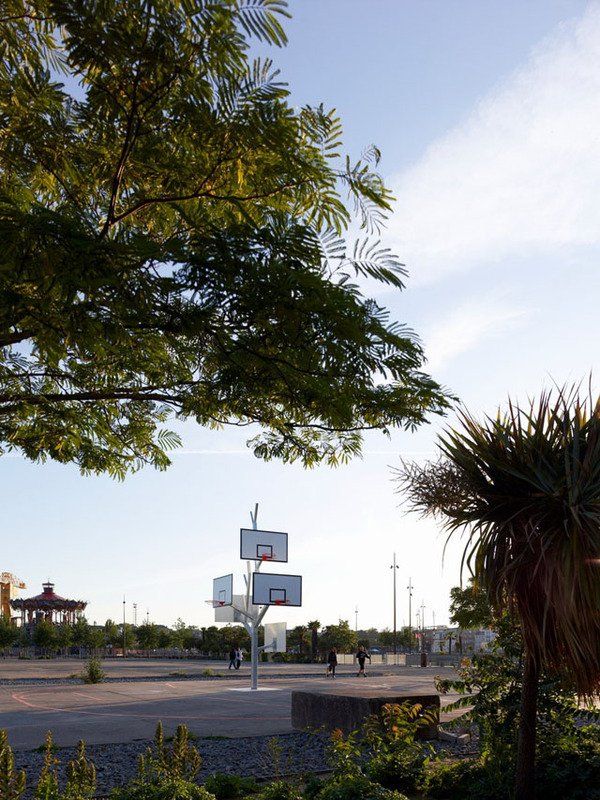 The unique design allows children of different ages (and heights) to play basketball. 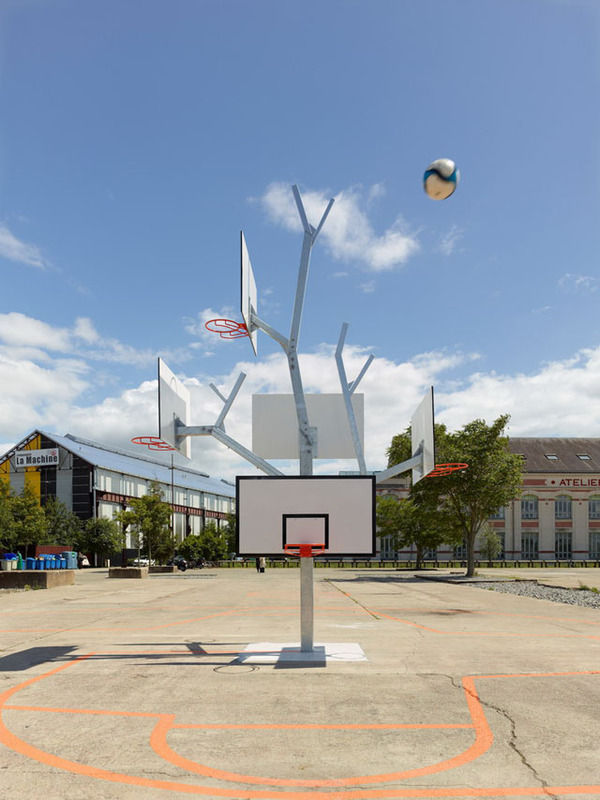 The tree was installed in a playground in Nantes by French architecture firm Agency/LTA.